Not only was Berry & Associates able to get me future Social Security benefit payments, but shortly after my hearing I received a large check for back benefits owed to me and my daughter. Being unable to work is incredibly stressful. Covering the cost of the most basic necessities such as food, housing and medical care very often becomes impossible. If you or a loved one is in this situation, know that you are not alone. The law firm of Berry & Associates has successfully helped thousands of disabled Americans receive money they need—and deserve. It changes their lives, restores their dignity, and allows them to provide for themselves and their dependents. The federal government has created two programs that provide money to those unable to work due to injury or disability—the Social Security Disability Income Program (SSDI) and the Supplemental Security Income Program (SSI). Although the goals are similar for both programs, there are significant differences in their requirements and processes. 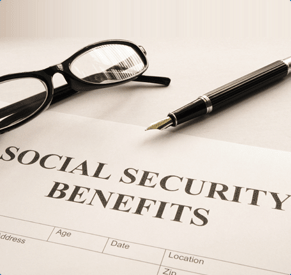 More importantly, the process for obtaining benefits is incredibly complex. Almost all cases require the submission of a large amount of paperwork. These include medical records, work histories, income and asset reports, and other important information. And there are critical judgments to be made with respect to what will help and hurt a claimant’s chance of success. If you or a loved one is in need of disability benefits, contact the experienced lawyers at Berry & Associates today at (800) 232-4009 or via email. Your initial consultation is absolutely free and you pay no attorney’s fee unless you receive your benefits. 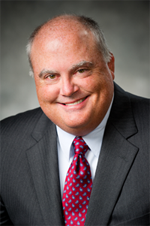 Berry & Associates has been successfully representing clients for more than 25 years. Please call us to learn how we can help you. By submitting this form I acknowledge that contacting Berry & Associates through this website does not create an attorney-client relationship, and any information I send is not protected by attorney-client privilege.